What Size Softball Glove Do I Need? All you need to play softball is some very basic equipment — but you definitely need a glove. 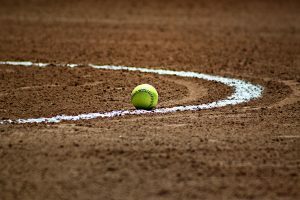 To keep you from injuring your hand as you catch a line drive or hard grounder, softball gloves are designed to fit various hand sizes and to be used by different field positions. So, you may have already asked yourself: What size softball glove do I need? The size of the glove you need to get is a direct result of which position you (or your child) is going to be playing. This type of softball glove does not have any channels to individually insert your fingers. It comes with a thick and heavy padding on the palms and overall reinforcements to buffer the continuous pounding from a pitcher’s throws throughout the course of the entire game. Catching a pitcher’s fireballs at a constant pace makes your hand sting after a while, so a catcher’s softball glove is ideal for this. This type of softball glove has five individual fingers and a deep pocket for quick catching of large softballs. They come in 9” to 10” youth sizes, and 10.5” to 11.5” adult sizes. 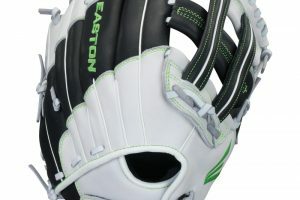 Just like the catcher’s mitt, this glove type also does not have any finger channels. 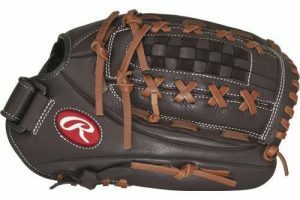 In contrast, a first base glove has much thinner padding and added length for catching infield throws. It also comes with a shallow pocket that allows for swift retrieval of the ball. A second baseman needs a smaller glove to quickly transition from catching to making throws. These players end up somewhere in the middle, and often need gloves that are neither large nor small to be able to handle ground balls and make quick throws. Similar characteristics apply to both softball and baseball gloves, the main difference being that softball gloves are usually a certain degree longer and have deeper pockets to be able to fit the larger size of a softball. Gloves have such a simple function in just catching a ball. But the way they are built contributes greatly to your performance and the quality of your game. 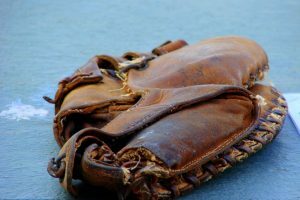 If you’re unsure about what position you’re going to play, or perhaps you anticipate being a utility or roving player, it’s probably best to go with a general and multipurpose glove, and not one that’s overly specialized (like a catcher’s or first base mitt). A middle infield glove would work well; some gloves are even marketed specifically as utility gloves that can be used by either infielders or outfielders. So, what size softball glove do I need exactly? In choosing the right of glove, you should also consider a player’s position and age. There are youth-sized gloves for younger players that them achieve better control. Consequently, buying a large glove for them to grow into doesn’t really help develop skill in the game, and might even lead to injury. As discussed above, outfield players need gloves that are larger and have deeper pockets for catching a ball in flight, while infield players need the opposite—smaller gloves with shallower pockets—for greater control and quicker throws. 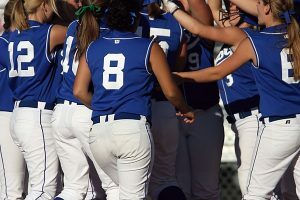 For softball players, 6 years and under, a glove size between 9 and 10 inches may do for all positions; a glove size between 10 and 11.5 is ideal for ages 7 to 9, also for all positions. 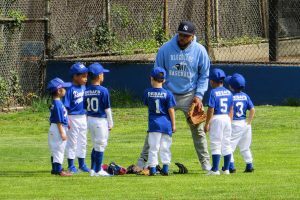 For players ages 10 to 14, infielders may fit with 11.5 to 12.5, while outfielders can opt for 12 to 13. For players 15 and up, infielders may fit with a 12 to 13, while outfielders may use a 12.5 to 14. You can refer to the sizing chart below for exact requirements by age and position. The depth of the pocket is decided by the position that is played. Shallower pockets aid infield players in quickly catching and throwing the ball, while deeper pockets help outfielders catch a ball while in flight. Again, softball glove pockets are relatively deeper to be able to accommodate the larger ball. Whether or not to choose a glove with webbing is determined both by player preference and field position. Open webbing is allows for quick retrieval of the ball, which is a great advantage for infielders. Outfielders and third base players benefit more from closed or tightly woven webbing. This type of webbing also allows pitchers to hide the ball from the batter! This part of the glove wraps across the back of your hand and is either closed or open. 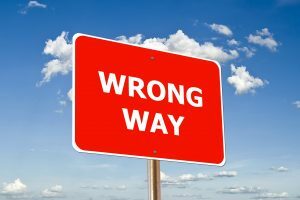 That decision is largely a matter of preference for the player. An open back gives you more flexibility, which is greatly beneficial for infielders, while a closed back gives outfielders more support. This feature is available in some gloves. A wrist adjustment helps keep a glove snugly fixed to the player’s hand. It may come in the form of a buckle, lacing, Velcro, or D-rings. 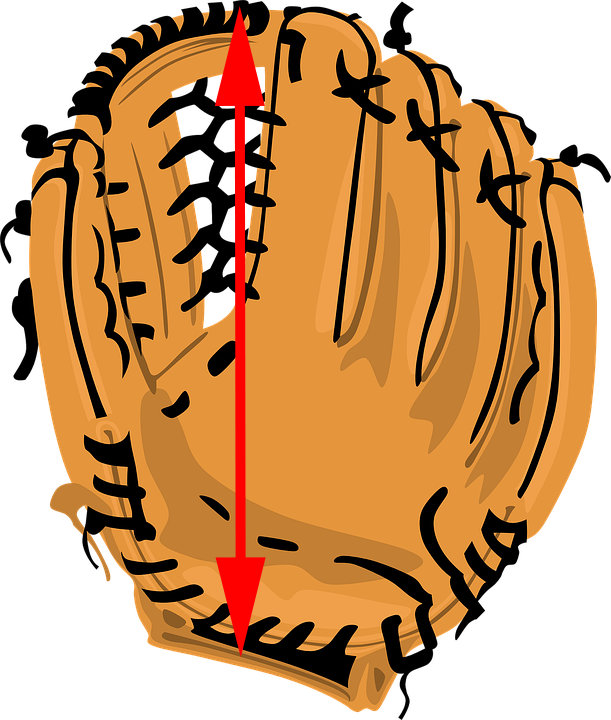 Depending on the position, the padding on a glove will differ. Usually, the player with the thickest padding is the catcher. These days, you may find that gloves are much more padded than they used to be — even with gloves for other positions — to reduce palm shock, which is experienced by most players. 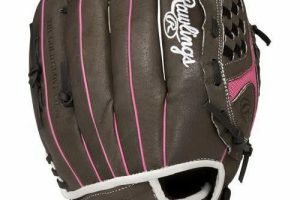 Generally, softball gloves are made up of leather, treated leather, or synthetic leather. The difference between the three lies in their feel and durability. Most of the expensive gloves are made of leather, which gives the best feel and is the most durable. The quality of the leather determines the price range for genuine leather gloves. Treated leather is softened and strengthened. This allows for a faster break-in, a more durable make, and easier overall maintenance. Synthetic is the most affordable option of the three. 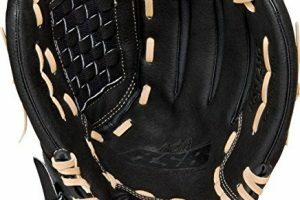 It is usually durable and quite usable, especially for young starting players who will eventually transition to a more permanent leather glove later on in their playing life. You can find a more in-depth discussion on glove materials here. Now that you’ve figured out your size, head back to our main reviews page to see our current picks for the best glove. How to Relace a Softball Glove Softball Gloves by Position — What’s the Difference? 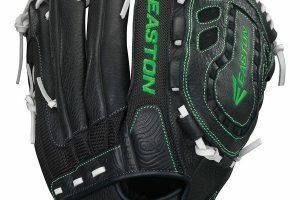 A Rundown of the Differences Between Fastpitch and Slowpitch Softball Gloves The Truth About Softball Gloves – Which Features Really Matter?